151.026 hauled an intermodal train north along the Main Valley on the afternoon of 27 October 2006. 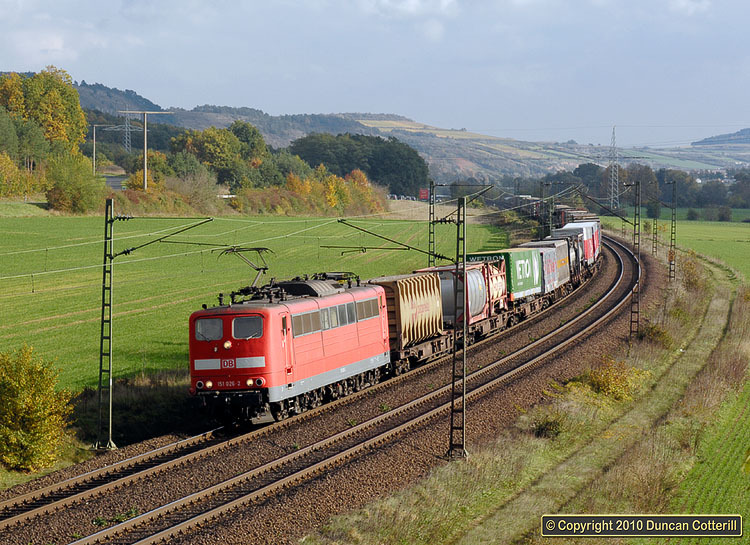 Trains of containers, swap bodies and complete lorry trailers are a common sight on the Würzburg - Gemünden line. Railion doesn't have a monopoly on this traffic and many are hauled by competitors locos.